Reliance Infrastructure promoted Mumbai Metro One recorded highest weekday ridership of 5.2 Lakh on 11 Jan, 2018. This surge was in the wake of ongoing BEST strike which started from 8th Jan. For four consecutive days 8th,9th,10th & 11th Jan, an average of additional 55,000 commuters took Metro for their travel needs and were accommodated by introducing 12 additional train services. An incremental increase was witnessed uniformly throughout the day. Morning peak hours between 9:00 a.m. & 10:00 a.m. and evening peak hours between 6:00 p.m. & 8:00 p.m. showed maximum surge contributing around 55,000 commuters. 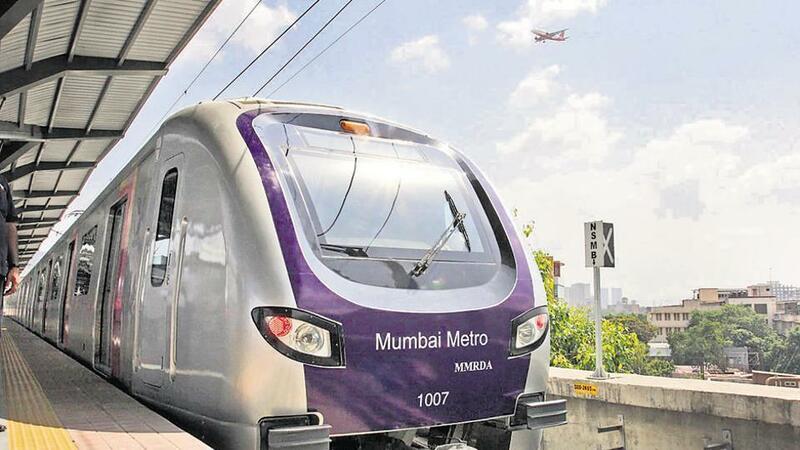 In a short span of 4.5 years, Reliance Infrastructure promoted Mumbai Metro One has become the lifeline of Mumbaikars in the Versova-Andheri-Ghatkopar corridor. Rain or shine, India’s first PPP Metro Rail project Mumbai Metro has become a reliable travel partner for its loyal commuters. Mumbai Metro has been able to achieve 99.9 % punctuality and 100% train availability primarily due to the maintenance work that happens in the 4 hour window at night. Mumbai Metro One has set newer benchmarks on all fronts such as ridership, safety, frequency, reliability, cleanliness, modernity, customer service & operational excellence and has been consistently providing relief and comfort to Mumbaikars. Various ridership improvement initiatives undertaken Mumbai Metro has transformed the corporate hub in the Andheri Business District i.e. Saki Naka – Andheri belt. Train services: We introduced 12 additional train services while ensuring 100% train availability and 99.9% punctuality. Ticketing: We increased the number of ticketing counters at critical stations to cater to additional patronage. Crowd management: Additional manpower was deployed for crowd management and to assist first time users of Metro. In order to ensure safe and secure environment, senior managerial staff were also deputed to the stations. Staff was assigned at road level, skywalks, FOBs and concourse level to ensure proper queuing and avoid any untoward incident. Security management: Security was strengthened for ensuring smooth movement of commuters from non-secured area to the secured area (concourse level). For the safety of commuters, at times we did hold people at concourse so as to avoid crowding at platform level.